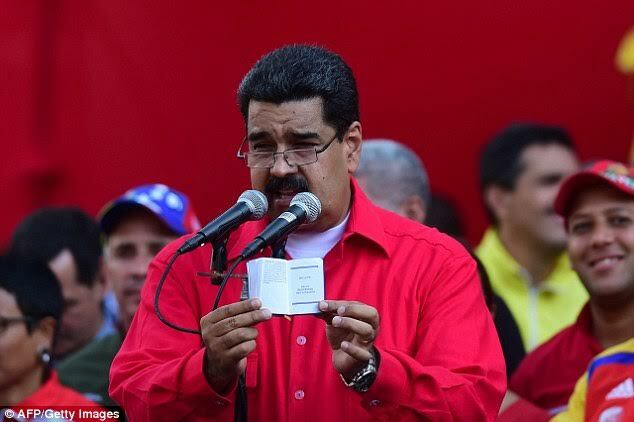 Venezuela President, Nicolas Maduro has threatened to jail his political opponents if they call for trial to remove him from Power. This came after opposition leaders and hundreds of thousands of protesters took to the streets on Wednesday to protest against the president, as the country’s economic crisis continues to deepen food and medicine shortages, prompting opposition lawmakers to threaten to put the President on trial for violating democracy. Reacting to the lawmaker’s threat, the President in a statement vowed to respond forcefully by jailing his political opponents if they make a move to call for his removal.